The AZoNetwork team descended on Philadelphia for the week along with 713 exhibitors and over 12,500 delegates. Having regularly attended the show for the last decade, this year we were displaying our booth as proud first time exhibitors. The team touched down from the U.K. on Sunday and ahead of a busy week, took in the sights of "the city of brotherly love" which included the Rocky steps, the Rodin museum, the liberty bell and some of the St. Patrick's day festivities! The show kicked off with a busy first day and a packed schedule for the AZoNetwork team across editorial, video, marketing and SEO. Dave Cockett, and Franky Barker were running the booth and ready to talk SEO and Digital Marketing with plenty of engaged delegates. Dave was booked up with appointments for SEO health checks where he was able to uncover hidden SEO issues for marketers on the booth. Tuesday afternoon brought the first of our two guest talks at the NEXUS theatre. Dave was on hand to provide an abridged version of his SEO seminar, a talk usually reserved for various global company sales & marketing meetings. Dave discusses the fundamentals of SEO and how it has significantly changed during the short history of the web. After a busy first day, the team hosted an evening drinks reception with an intimate range of friends and colleagues in attendance at the Hard Rock Café just across the road from the convention centre. Having focused on supramolecular chemistry and nanotechnology, Dr. Stoddart discussed his Nobel work involving artificial molecular machines, and how the serendipitous discoveries of his lab group can impact our lives in every day applications such as cosmetics, drug delivery and the isolation of gold. In the future, molecular machines could be used for new materials, sensors, and energy storage systems. Working on combining Raman Spectroscopy with super-resolution microscopy for the study of cell surfaces in extraordinary detail. Renee used plasmonic nanomaterials to focus in on the sample, as fluorophores (which are currently used) often bleach under the lasers of the microscope, which prevents the experiment from going any further. Our 2nd NEXUS talk of the exhibition was expertly delivered by Dr. Ian Birkby who drew upon his vast knowledge of Marketing technological, scientific and manufacturing businesses to engaged audiences. Having come from an advanced materials background, Ian has been Marketing Science online on behalf of other companies for 19 years. The team were busy with dozens more interviews throughout the week as they had the chance to learn even more about fascinating research areas and share the science behind their novel applications and future uses in industry. Igor discussed proving the viability of using Raman Spectroscopy to detect bodily fluids at a crime scene. The main advantage is that Raman is non-destructive whereas current techniques destroy the sample. Stephane has developed ultra-small microelectrode biosensors that can be implanted into the brain following a severe tramatic brain injury. He used carbon fibers, which are really small compared to the wires currently in use for biosensors, and coated these in platinum, which is a good conductor. He discussed how these biosensors could detect second-by-second neurochemical changes in the brains of rats after a traumatic injury. After a hectic week, the team took a well-earned rest on a sleepy flight back to the UK having learned lots and with plenty of follow up work to do in the weeks to come - Roll on Pittcon 2020 in Chicago Illinois! Since working with AZoNetwork’s Web Services and SEO team, Thermcraft are now page 1 for a huge amount of our chosen keywords and we have seen a 72.46% increase in organic traffic. AZoNetwork focus on optimizing their clients’ content, which has helped tremendously with SEO and referral traffic which leads to an increase in sales inquiries as well. 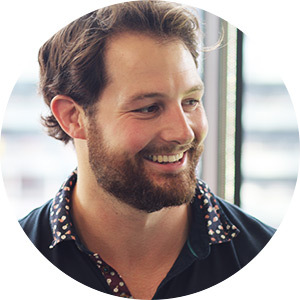 Having spent his younger years playing Rugby in the sunny climes of Spain and Western Australia, Frank graduated from Loughborough University with a BSc in International Business. Over the past 4 years, he has since forged a career in Digital Marketing and developed a passion for combining big data with great content to deliver messages that resonate with specific audiences. A sportsman at heart, Frank still enjoys lacing up the boots for his beloved Macclesfield 1st XV Rugby or pulling on the whites to represent the more serious Macclesfield 3rd XI Cricket team. Has Privacy and Data Security Ever Been A Bigger Issue than it is Now?